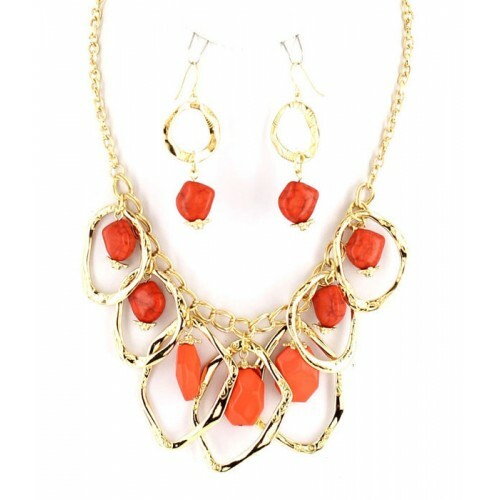 Bright and unusual, Petra necklace set includes the necklace and the matching earrings. A single gold plated chain bears large bent ringlets with dangling resin stones inside them. Large pending earrings. You won't find such a diverse and extensive range of cheap jewellery online anywhere else. We hope you enjoy your shopping with us.